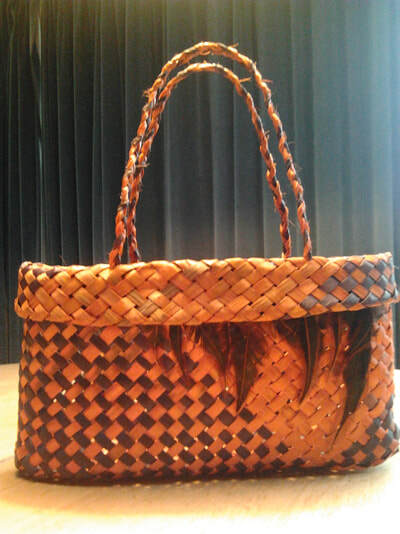 In 2003, when I moved to Mangawhai, I was lucky to get to know a very gifted and commited weaver. She was happy to teach me and invited me to meet with her group of local weavers on a regular basis, where I learned to make baskets, kete and backpacks. 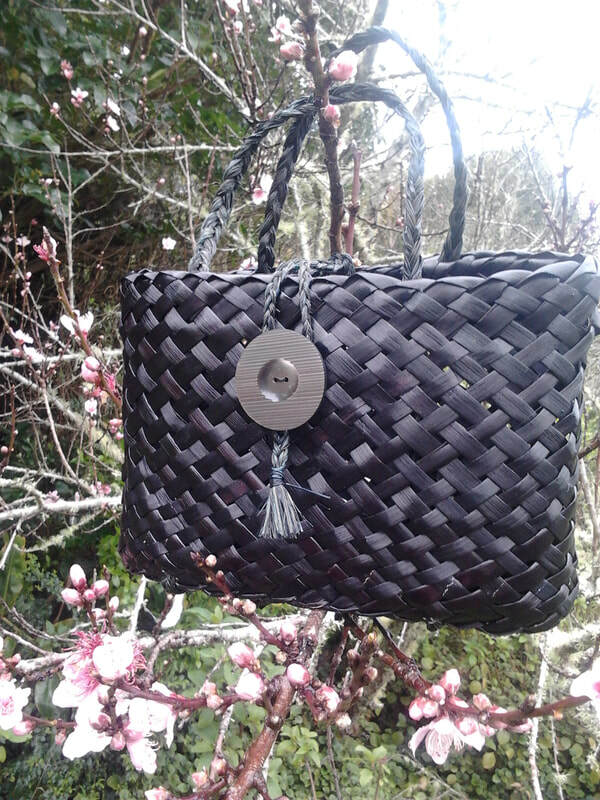 I also attended a few wanangas, meetings of weavers on a marae, with my friends. I loved it! In 2015 I attended a 1 year raranga study course with Northland Polytech to broaden my knowledge of this traditional maori artform. Once a month we would meet at a marae in the Hokianga where, apart from from flax weaving I also learned how to make Taniko, the coloured borders around elaborate capes, or Tukutuku, the wall panels found inside a meeting house. It was a rich experience! Even after 15 years of weaving I know that I myself have still a lot to learn, but I am now at a point where I want to pass on all the knowledge that I have been so privileged to receive. 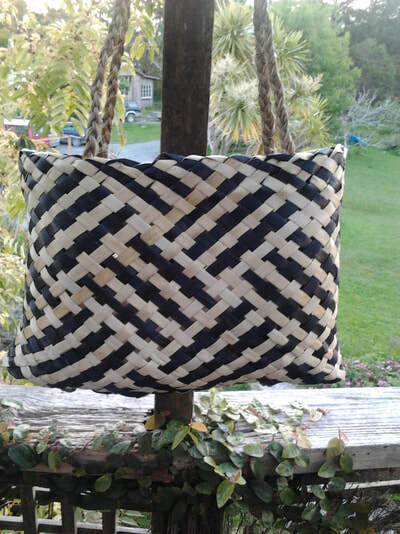 I decided to teach flax weaving workshops. 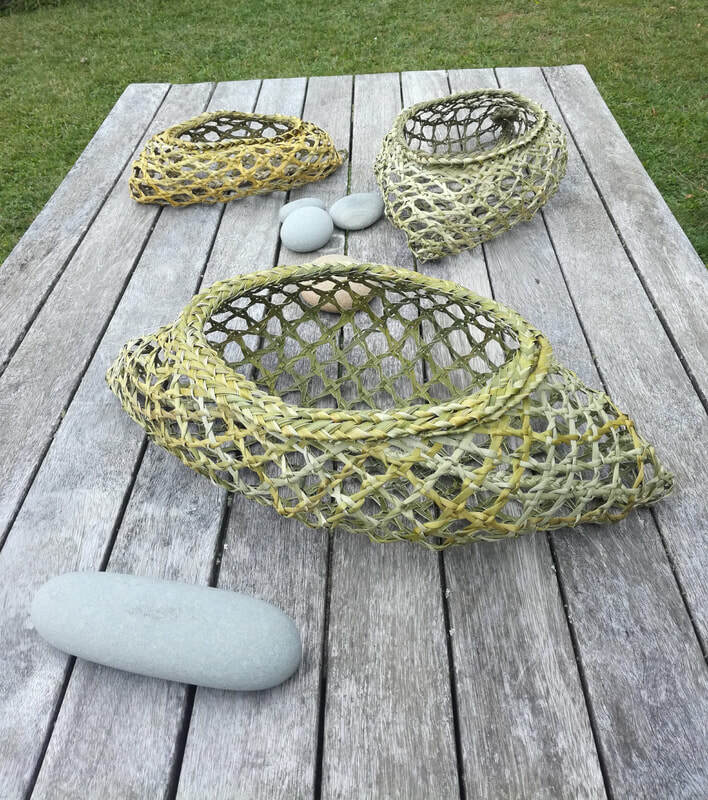 I very much like the fact that the raw material for this work is easily and freely available everywhere and that we can produce items from natural materials that are practicalas well as beautiful and be kind to Mother Nature.